Oracle Work Life Solutions Cloud improves productivity and employee engagement by helping employees align their work and personal lives. 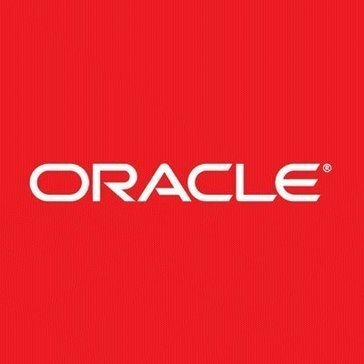 Work for Oracle Work Life Solutions Cloud? Learning about Oracle HCM Cloud? Simplicity of use. Able to quickly look up supplies. Easy way to print out formulas. A little disorganized and sometimes hard to use. Supply inventory and stock. It helps keep things moving and let's you know where you're at supply-wise. What Corporate Wellness solution do you use? Virgin Pulse provides a software that creates meaningful habits and drives greater utilization across HR investments, delivering a better quality of life for employees and better health, increased productivity, and improved culture for employers. Cerner WellnessSM uses web- and mobile-technology, along with customized services, to promote sustainable behavioral changes. RedBrick Health helps organizations improve population health and well-being. Grokker is a video network that features yoga, cooking, and fitness classes. The CoreHealth all-in-one corporate wellness platform is a SaaS solution used by wellness providers to power and deliver wellness programs to their clients. StayWell is a health engagement company that specializes in helping its clients engage and educate people to improve health and business results. Fitness tracking platform with a choice of challenge modes and customizable rewards for your corporate wellness program. Castlight gives you the ability to organize the best healthcare options and plans for your employees. LifeDojo is an employee wellbeing platform that combines 1:1 coaching with on-going habit building programs to ensure user's wellbeing initiatives work for all employees. LifeDojo is designed to help companies engage their entire workforce, sustain long-term behavior change and reduce overall healthcare costs. Learning about Oracle Work Life Solutions Cloud? * We monitor all Oracle Work Life Solutions Cloud reviews to prevent fraudulent reviews and keep review quality high. We do not post reviews by company employees or direct competitors. Validated reviews require the user to submit a screenshot of the product containing their user ID, in order to verify a user is an actual user of the product. Hi there! Are you looking to implement a solution like Oracle HCM Cloud?